the first time such an operation has been attempted, authorities said. 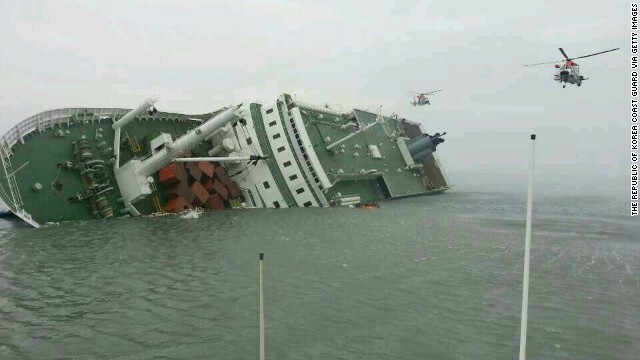 off South Korea's southern coast. a salvage operation plan, which is projected to finish by the end of July. The operation will attempt to lift the 140-meter long ferry from beneath the water without having to cut it into pieces. Doing so will help recover bodies believed to be still trapped inside of it. Nine bodies are still unaccounted for. 1. 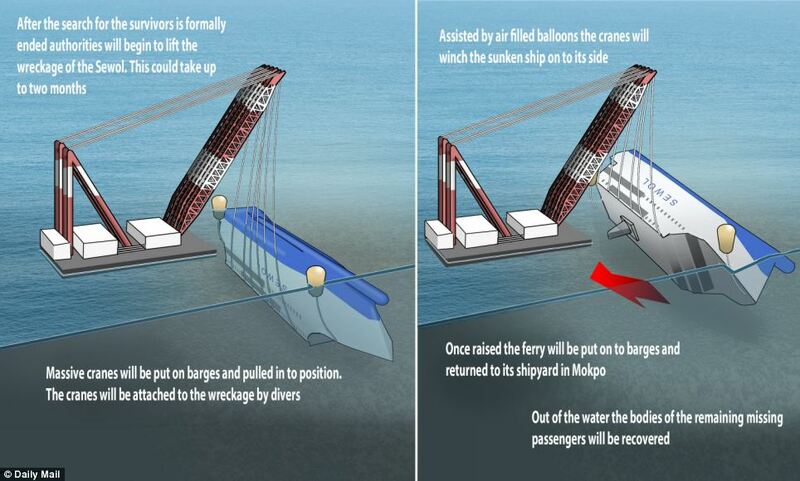 Engineers will attempt to place buoyant "lifting beams" and pontoons underneath the ferry. 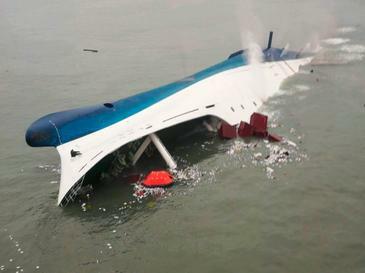 If the ferry starts breaking apart, recovery experts are expected to halt the process. 2. Cables or "slings" will be attached to the lifting beams. 3. Using the "strand jack system" the cables will winch the ship towards the surface. 4. 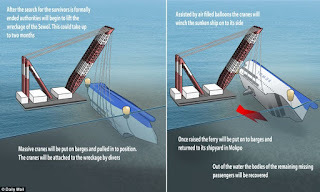 The ship will be lifted until it is 13 meters above the water. 5. It will then be attached to a barge and towed to shore.